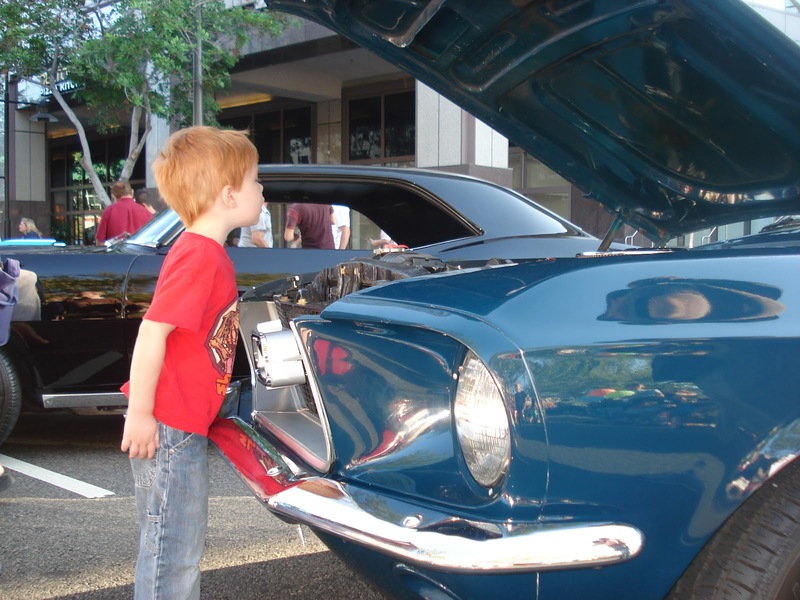 It’s a Glendale tradition and people come from far and wide for the annual Cruise Night. I don’t think we’ve missed a single year. This free night is my favourite community event. 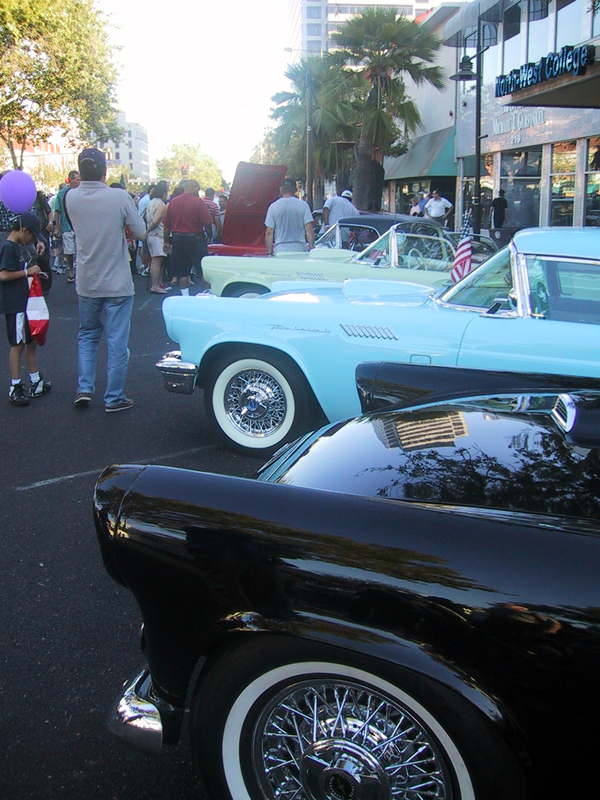 Brand Boulevard is blocked off for this event and filled with hundreds of vintage cars parked proudly for display by their owners (who are rarely far away in case you have questions.) 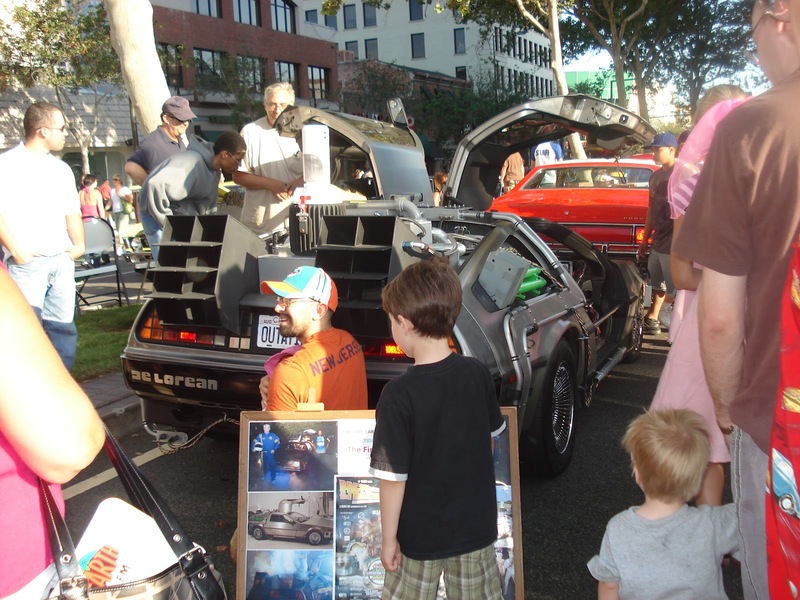 To enter a car must predate 1979 although there have been a few exceptions, like the DeLorean and a BatMobile or two. In addition to the cars and live entertainment many city services are out. 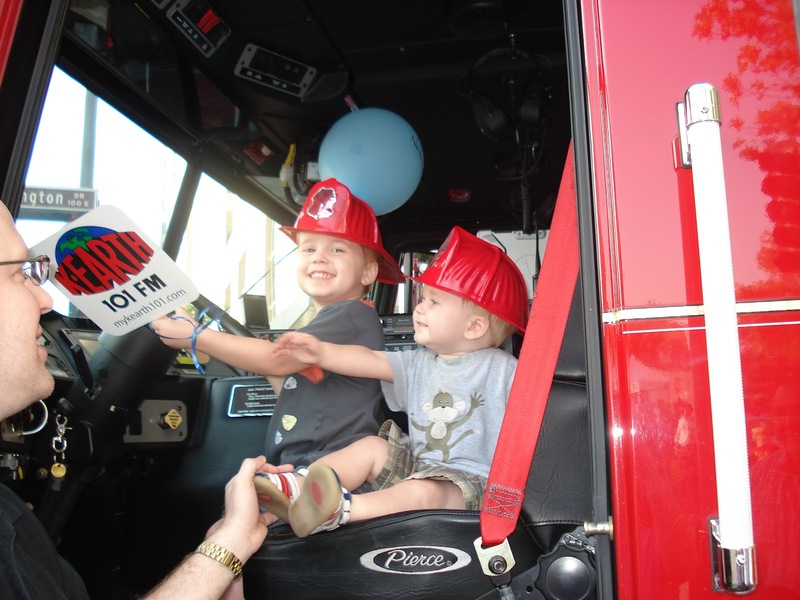 These two never miss an opportunity to hop into a fire engine, and GFD is on hand at all community events with hats for the children. The cars are usually clustered in groupings, such a service vehicles, British imports, pre-WWII, etc. It’s tomorrow night. You don’t want to miss it. 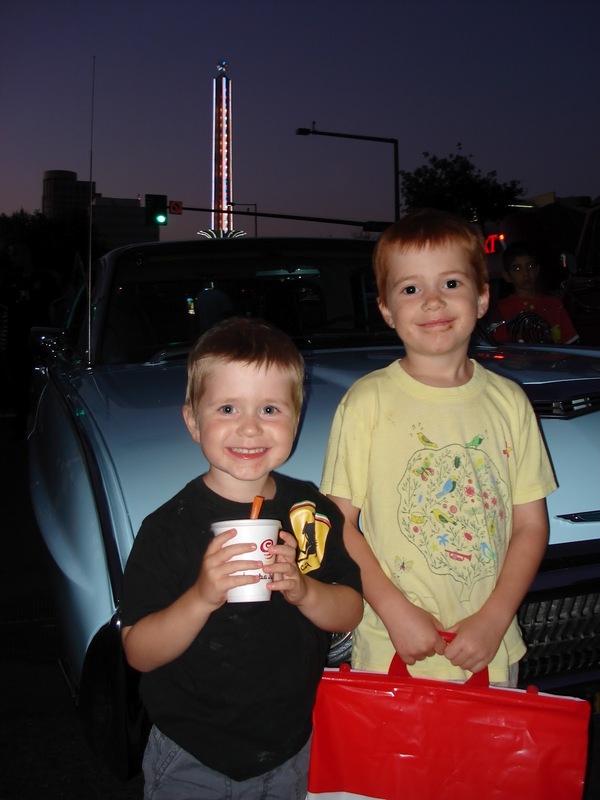 Cruise Night with the historic Alex Theatre illuminated in the back, and a bag full of swag. Happy boys indeed. PreviousWhat are little boys made of?